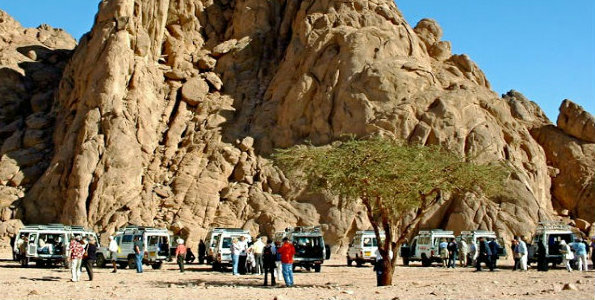 11 Am you will be pick by our Ac 4*4 Jeep from your hotel in Hurghada or the neighbouring areas and drive 35 Km into the Eastern desert to the bedouin village. Learn about their traditions and experience the camel ride after you get around the village on the quad bikes. The evening is full with entertainment watching the Folkloric oriental show while the BBQ dinne is served. You will be transferred back to your hotel.